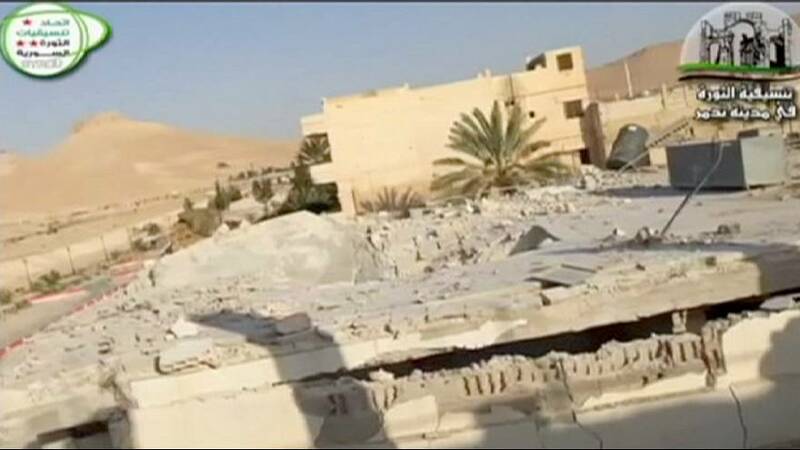 Syrian state television has said at least 400 people, mostly women and children, have been killed by self-proclaimed Islamic State fighters in Palmyra. The reports have not been independently confirmed. However the information is consistent with accounts from activists who say the jihadists have been executing people since capturing the ancient city. Comments on social media said hundreds of bodies – believed to be those of government supporters – were lying in the streets. Meanwhile the Syrian military is also battling separate rebel forces from the al Qaeda-linked Nusra Front in the northern Idlib province. State TV showed what it said were wounded soldiers freed after a siege at a hospital was broken. It claimed that 300 insurgents had been killed by the Syrian air force. In Iraq where ISIL has taken control of Ramadi, the government has deployed Shi’ite militias to the area to try to halt the jihadists’ advance. As the US continues to lead air strikes with its allies against ISIL targets, the American Defense Secretary has said the fall of Ramadi showed that Iraqi forces had demonstrated “no will to fight”. Speaking on CNN’s ‘State of the Union’ programme, Ashton Carter said they vastly outnumbered the opposing force but still withdrew from the site. The US has been training and arming Iraqi forces since withdrawing its combat troops at the end of 2011.